The scarcity of water in South Africa is a growing problem for the entire country. Most recently, the drought in the Western Cape made global headlines, but many other areas in South Africa are also severely affected. A local toilet manufacturer, Enviro Loo, has stepped up to the plate and created a water-saving solution. This zero-water, zero-discharge system is an award-winning sanitation product. Enviro Loo received the 2017 Southern African Dry Sanitation Company of the Year award from the research company Frost & Sullivan. Each Enviro Loo saves between 300 000 and 650 000 litres of water per year. “There is an ongoing sanitation crisis in the Southern African region, with groundwater contamination causing serious health fatalities on a daily basis. Further, potable water is still often used for sanitation purposes, exacerbating already severe water shortages,” says Frost & Sullivan research analyst Laura Caetano. Enviro Loo can be installed in rural areas where water is scarce and groundwater contamination poses a significant risk to those who rely on rivers and wells for their potable water. How does Enviro Loo work? Each Enviro Loo is housed in a container and uses an evaporation and dehydration process that requires no pipes, drainage or flushing systems. The units are safe and effective, and also provide a dignified method of sanitation. The company employs people from the areas in which Enviro Loos are installed, creating much-needed jobs. These employees are trained to maintain and service the units regularly, being provided with the relevant tools and apparatus to perform the maintenance. 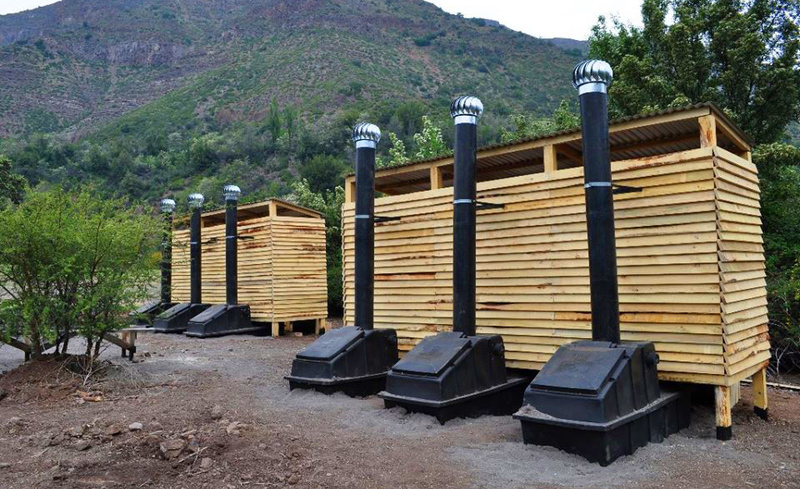 “At Enviro Loo we have developed a dry sanitation solution that is relevant for urban and rural communities, for developed and developing countries. We have a solution to a global problem,” says Enviro Loo managing director Mark La Trobe. “Technology and innovation are central to modern sanitation solutions that are affordable, safe, and sustainable,” he adds. Enviro Loo has developed their own app to keep a record of each unit, provide updated maintenance schedules, GPS locations and live information about the status of each unit. Currently, Enviro Loo has installed over 150 000 units in 52 countries.